It’s #workoutwednesday!! Can't figure out what to do? You know I'm always up for a workout I can do from anywhere! And this total body circuit is great for moms with kiddos - you can get the whole family involved!! For this Total Body Circuit, perform each move for 1 minute. Repeat this circuit 3 times with one minute rest between sets for a 25-minute total body sweat session! 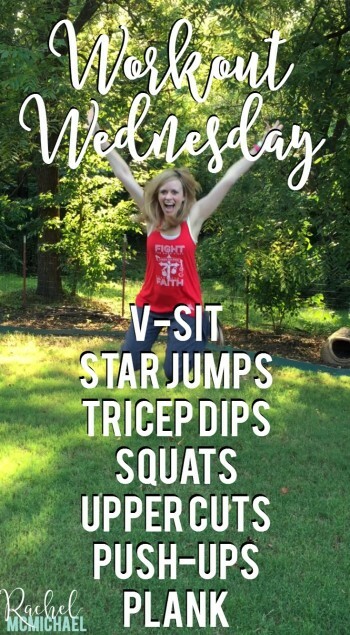 This post is linked up with The Fit Foodie Mama for Wild Workout Wednesday and Jill for Fitness Friday. Make sure to stop by and check them out! How did you work out today? Do you prefer to workout solo or with the family?